There are several reasons why you might want to take a screenshot of the current screen activity on your computer. 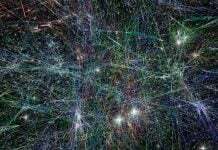 Perhaps there’s some technical problem that you would like resolved. And you plan on sending the screenshot over to technical support to show them exactly what’s going on. Or maybe you want to save something you found online for future reference. In any case, screenshots are an important part of our modern use of computers. And in this article, we’ll walk you through all the different ways you could take a screenshot on your Windows PC. We’ll start with the easiest methods ranging from those requiring nothing more than a few strokes on your keyboard. Then we’ll gradually move on to more advanced methods. These include the usage of Window’s default screenshot tool, ‘Snipping Tool’ and two more third party screenshot tools, Lightshot and ShareX. This is the simplest and the most popular methods for taking a screenshot. 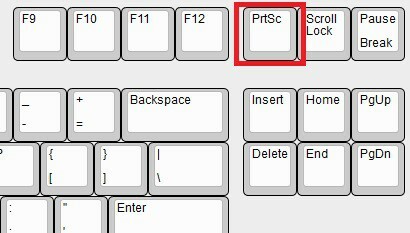 Simply navigate your keyboard and find the PrtScn key, right next to the F12 key and above the Ins key. The Ins/Insert key is located above the Del/Delete key and on the left of the Home key. Once you’ve hit PrtScn, Windows will take a shot of the entire screen and copy it to the clipboard. If you want to paste the screenshot onto a document, simply open up the document, hold down the Ctrl key and hit V. This will paste the screenshot. Note: Some computers may require you to hold the Fn key while you press PrtScn. Also ‘Print Screen’ could be abbreviated as something slightly different than PrtScn on some devices. Now we’ll look into how you can capture a single window instead of the entire screen. 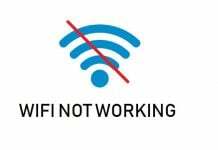 To do this, hold down the Alt key and hit PrtScn. Windows will take a shot of the window you are currently using and copy it to the clipboard. Once again, if you want to paste the screenshot onto a document, open it and press Ctrl + V.
Maybe you want to capture the screenshot of a particular area in the screen. To do this, hold down the Windows (⊞) key, the Shift key and hit S. This will generate a translucent cover over the entire screen and your cursor gets transformed into a cross. Hold down the left mouse button and drag it over the region you want to capture. Once you’re done, let go. Windows will take a shot of the selected area and copy it to the clipboard. 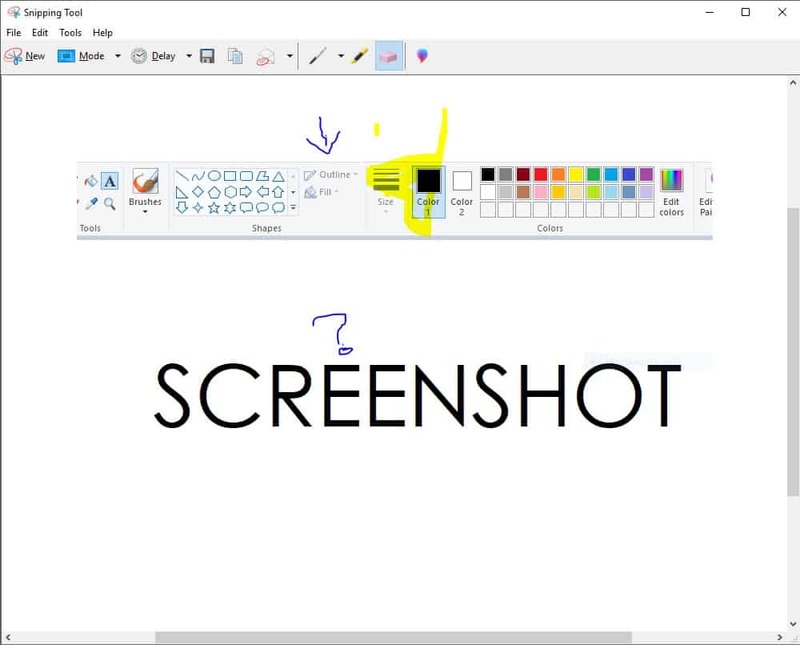 To paste the screenshot onto a document, open it and press Ctrl + V.
Open Paint. 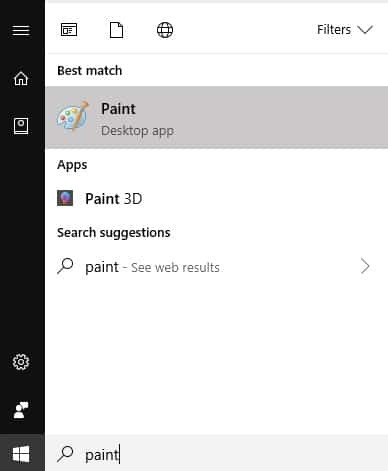 Hit the Windows (⊞) key, type Paint and left-click on it to open it. 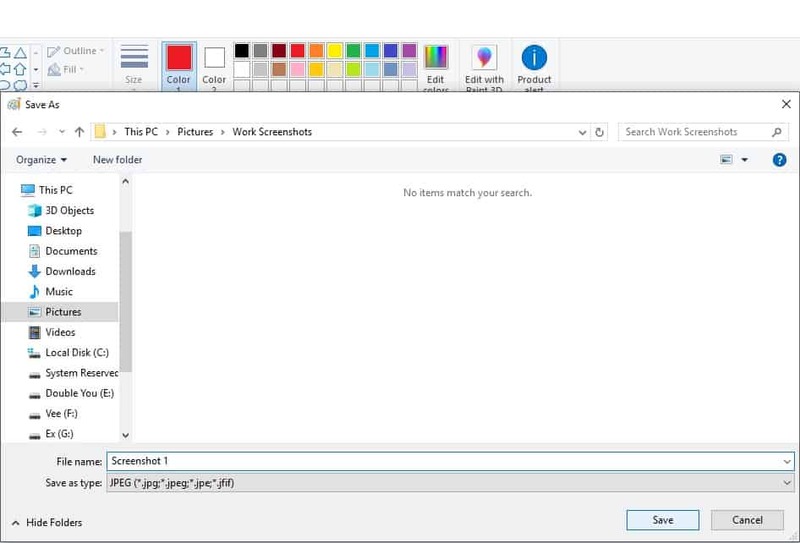 Once you’ve opened Paint, press Ctrl + V to paste the screenshot from the clipboard onto the Paint file. If you want to edit the screenshot (add a description/crop the image), do so. To save the file, press Ctrl + V. Navigate to the directory you want to save the image. Give the file a proper name and specify the desired image format (JPEG, PNG, BMP etc). If you’re not sure, stick to the default choice. Then click on Save. This will save your screenshot. 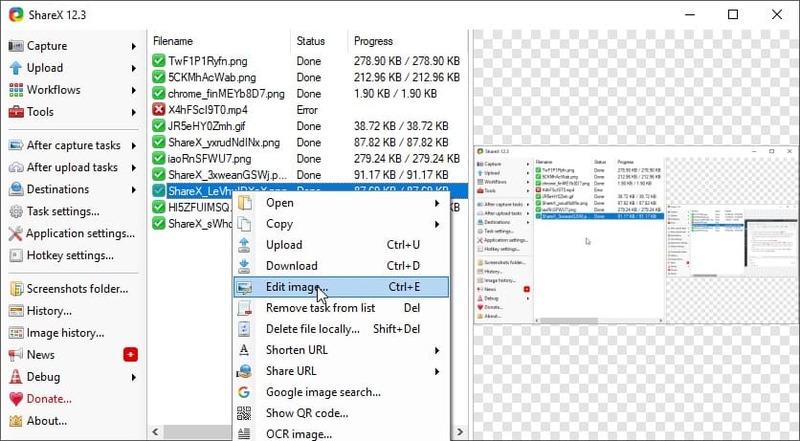 If you don’t want to go through the trouble of opening Paint, pasting the screenshot from the clipboard and then saving the file, well there’s another way. To capture a screenshot and have it directly saved as a file, simple hold down the Windows (⊞) key while you hit PrtScn. Windows will take a shot of the screen and save it as an image file. You can find the Image file saved in the Screenshots folder inside Pictures. 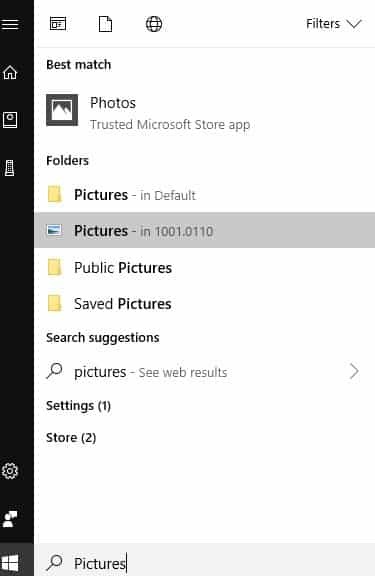 If you’re not sure where the Pictures directory is, simply hit the Windows (⊞) key and type “Pictures” in the search bar. The required directory will show up with a small image icon on the side. So far, we’ve looked into 4 easy ways of capturing screenshots on Windows. Now we’ll look into doing the same using a tool called as Snipping Tool. Snipping Tool is pre-installed in Windows, meaning it is completely free. And if you learn how to use it well, it acts as a powerful screenshot capturing tool. 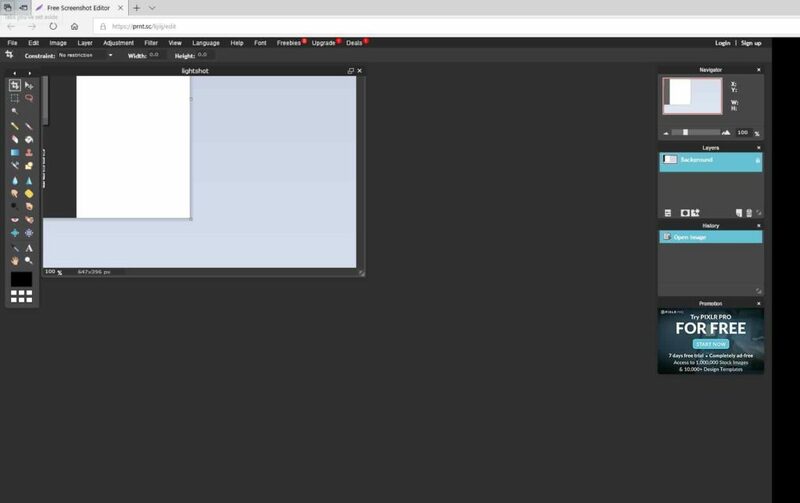 For example, you can either capture a select portion of your screen (either in Rectangular form or a free-form shape), the current window you are working with, or the whole screen. Furthermore, you can also add notes, save the screenshot (called a Snip) or email the Snip directly from the window of the Snipping Tool. Click on Start or hit the Windows (⊞) key. In the search bar, type “Snipping Tool”. 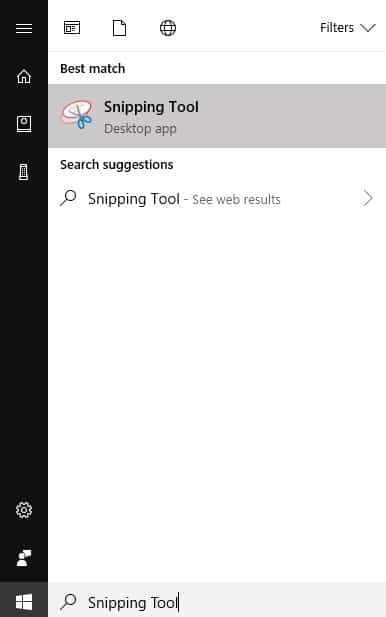 Select “Snipping Tool” from the list of results to open it. In Snipping Tool, click on Mode. Select one of the four modes available (free-form snip, rectangular snip, window snip and full-screen snip). Once you’ve selected the desired mode, click on (or drag through) the area of the screen that you would like to capture. This will open the captured screenshot in a new window. Once you’ve captured a snip (5.1), you might want to save the snip. To do so, find the save button in the newly open window that has the captured screenshot. Navigate to the directory you want to save the image. Give the file a proper name and specify the desired image format (JPEG, PNG, BMP etc). If you’re not sure, stick to the default choice. Then click on Save. This will save your screenshot. To annotate a snip after you’ve captured it, use the pen or highlighter tools. You can find them at the right section of the tool bar. You can also use the eraser tool to erase what you’ve written/drawn. If you’ve captured a snip from a browser and saved it as an HTML file, the URL will appear at the bottom of the snip. If you want to remove this URL, go to Options. Here, unmark the check box that reads “Include URL below snips (HTML only)“. Once you’ve done this, click OK.
Once you’ve captured a snip, maybe you want to share it with someone else. Snipping Tool allows you to directly share from its window. Find the send snip icon right next to the save icon to send the snip to anyone via mail. You will need to have Microsoft Outlook installed and configured for this. 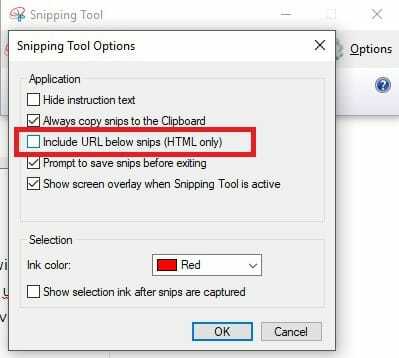 To choose a snipping mode, press Alt + M.
For creating a new snip without altering the snipping mode, press Alt + N.
To delay the capture by 1-5 seconds, press Alt + D.
To copy the current snip to the clipboard, press Ctrl + C.
For creating a save the snip, press Ctrl + S.
For selecting a rectangular snip area, hold the Shift key and hit the arrow keys. So far, we’ve covered the standard method of taking a screenshot on Windows and making the use the pre-installed Snipping Tool. Now, we’ll learn how to use a third party screenshot capturing application called Lightshot. 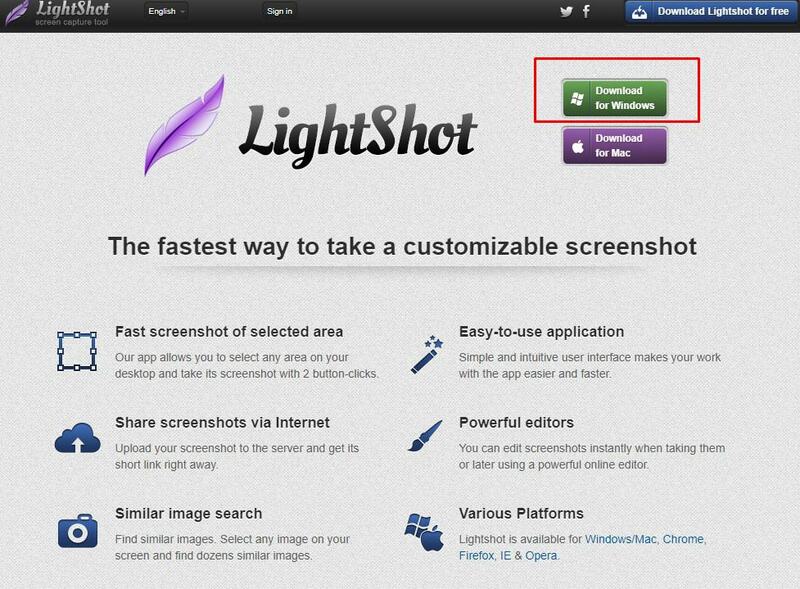 Lightshot is not just a screenshot capturing tool. It is also a powerful image editor. This means that you don’t need to open up a separate image editor application to edit the screenshot you just took. This makes the process more seamless and easy. In this section, we shall look into the basics of how to use Lightshot to take perfect screenshots on a Windows PC. Lets get started! To download Lightshot for Windows, first open its website. At the top right corner of the page you will find a green button that reads “Download for Windows”. Press this button and an .exe file will download. Once the download is complete, open the .exe file and follow the on screen instructions in the setup wizard. Once the installation is complete, hit Finish and Lightshot will be opened. You will receive a notification asking you to hit the PrtScr key in order to take a screenshot. To use Lightshot, all you have to do is press the PrtScr key. Once you do, the screen will darken and you will be left with a cross head pointer. Drag this pointer across the area you would like to capture. The following keyboard shortcuts will familiarize you with the basics of taking a screenshot using Lightshot. 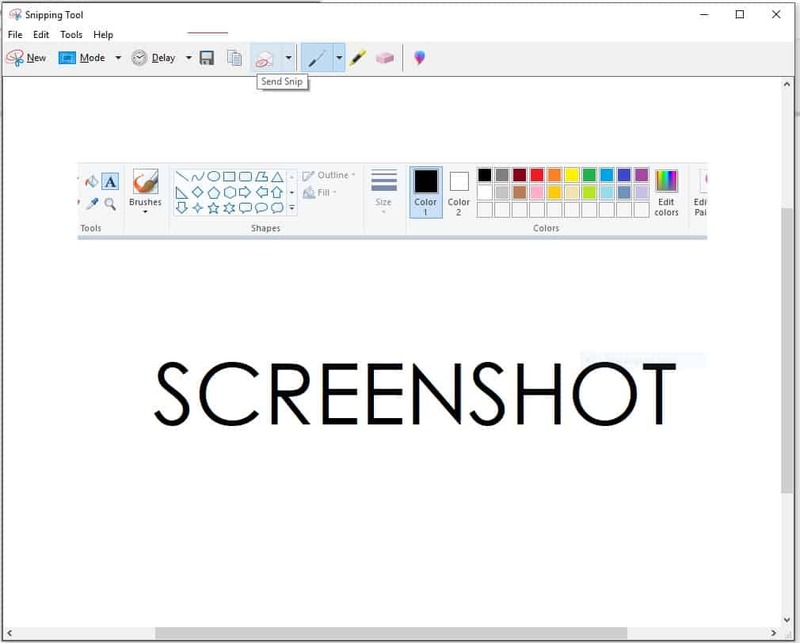 To take a screenshot on Windows, simply press the PrtScr (Print Screen) key. 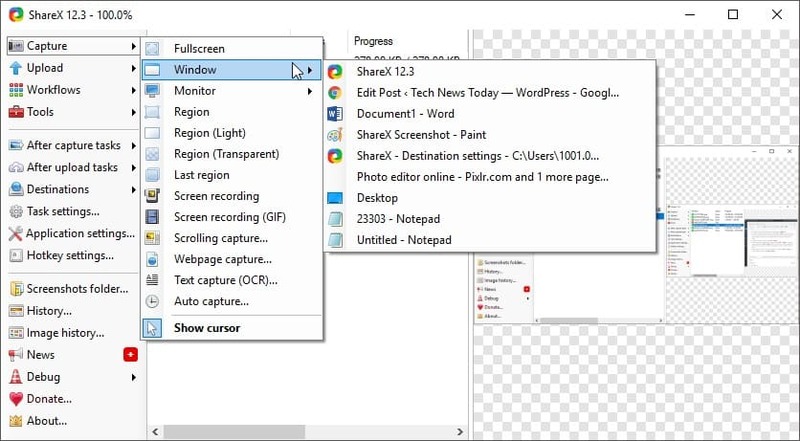 To copy a screenshot to the Windows clipboard after you have taken it, press Ctrl + C. Another way to do this is to hold the Ctrl key while dragging the mouse to select the area that you want to capture. Once you release the mouse button, the selected area will be captured and copied to the clipboard. Once you’ve captured a screenshot, to save it, simply press Ctrl + S. This will directly save the screenshot to the most recently accessed folder (My Documents, by default). To cancel the screen shooting process, simply press Esc + Ctrl + X. This will abort the action and return you to where you previously were. To maximize a selected area to full screen, or to select the whole screen, press Ctrl + A. To edit a selected area online, press Ctrl + E. This will upload the screenshot to the Online image editor where you can edit it. (More on this later). To upload a screenshot, simply press Ctrl + D. This will open up a dialogue that will show the upload progress. You will be presented with a link for the uploaded image once the process is complete. Once you’ve captured a screenshot, you may want to edit it. Lightshot comes with a set of basic tools. The toolbar appears at the right and bottom corner of the selected area. 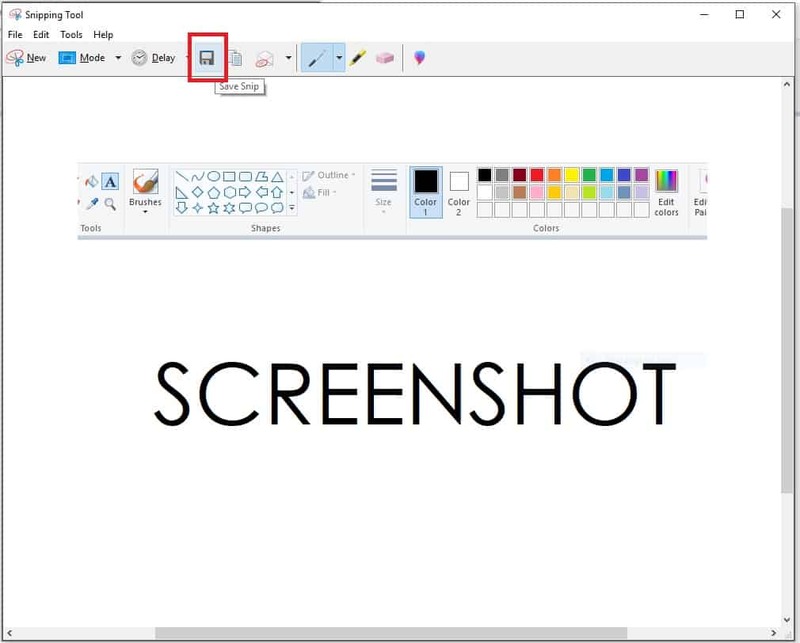 Before you save the screenshot, you can edit it, using the available tools. You could add text, highlight portions or draw over the image. All these options are available at the toolbar on the right. On the bottom toolbar, you will have an option to save or share the image. If you want to access the more powerful online editor, simply select an area and press Ctrl + E. This will open up a tiny progress bar that will show that your screenshot is being uploaded to the server before it can be edited. Once the upload is complete, the online editor will open. The online editor is a powerful tool with a huge range of tools and options. You can even upgrade the editor to a more powerful version for a small fee. 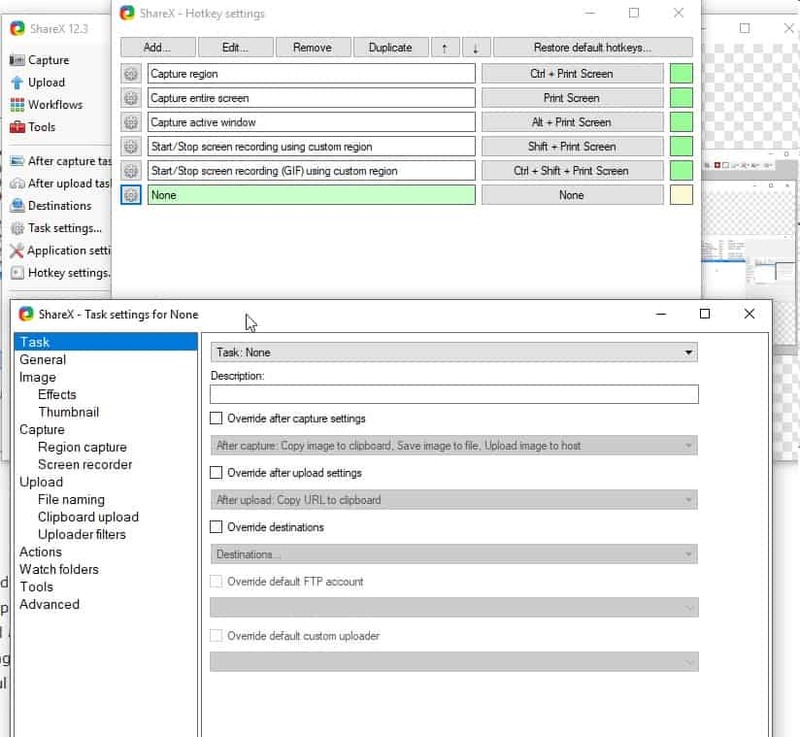 If you’re not interested the default online editor is in itself a sufficient tool, with features such as cropping and resizing readily available. Lightshot is in many ways more intuitive and powerful than the Snapping Tool. The learning curve is significantly lower and you have a ton of features that you could use to take the perfect screenshot every time. Another interesting thing is that you can also install Lightshot as a browser plugin for Chrome, Firefox, Edge or Opera. The plugin works exactly the same way and is a perfect choice if you don’t want to install the full application on your computer. You however won’t be able to take a screenshot of anything other outside of the browser. Note: With Lightshot active, the default screenshot options described in methods 1, 2, 3 and 4 will no longer work. 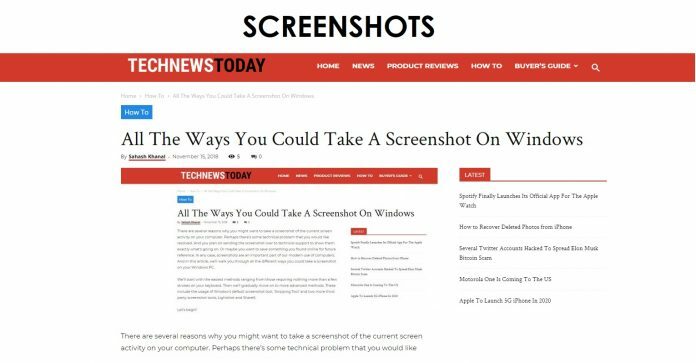 So far we’ve looked at Snapping Tool and Lightshot for taking screenshots on Windows. Now, we’ll look into another interesting screenshot taking tool, ShareX. The best thing about ShareX is the ability to take a video or a GIF shot of the screen in addition to images. 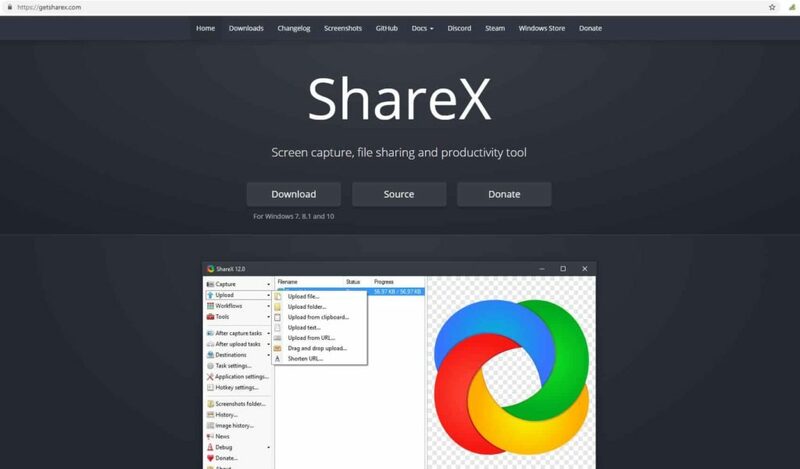 To download ShareX for Windows, first open its website. At the middle of the page you will find three buttons, the first of which says Download. Press this button and an .exe file will download. Once the download is complete, open the .exe file and follow the on screen instructions in the setup wizard. Once the installation is complete, hit Finish with “Launch ShareX” check marked. This will open ShareX. The following keyboard shortcuts will familiarize you with the basics of taking a screenshot using ShareX. To capture a shot of the whole screen, simply press the PrtScr key. To capture a specific area on the screen, press Ctrl + PrtScr. You can now move the mouse around and click to select a window/region or click and hold the right mouse button and drag it around a specific region to capture that particular region. To capture the active window, press Alt + PrtScr. For capturing a video/cast of the screen, press Shift + PrtScr. To stop the capture, again press Shift+ PrtScr. Note: You will have to install a specific tool the first time you do this. You will be prompted if you want to install it. Also, you will be required to configure the address to the cloud storage platform of your choice (dropbox, google drive etc.). To start capturing a GIF of the screen activity, press Ctrl + Shift + PrtScr. To stop the capture, again press Shift+ PrtScr. You can also capture screenshots directly from the ShareX window. Simply click on Capture on the top left corner of the sidebar. Then select what you would like to capture. This could come in handy if you don’t like memorizing the shortcut keys. Once the upload is complete, you can copy the image or edit it with a range of tools that comes with ShareX. To access the screenshots, you can click on “Screenshots folder” on the second half of the sidebar. 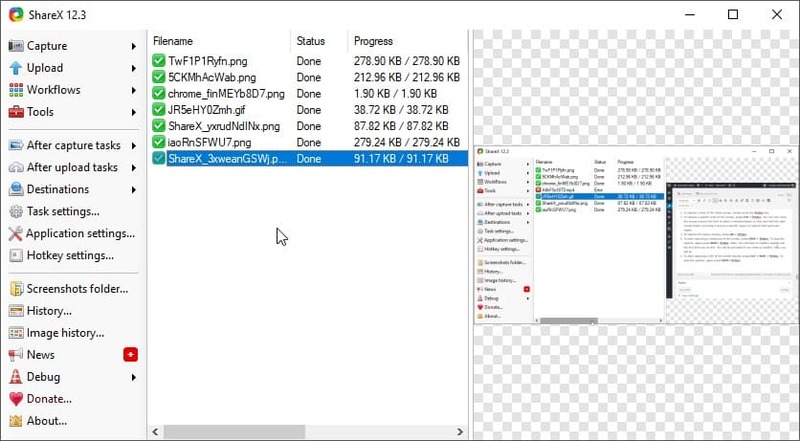 To edit a screenshot, right click on the uploaded file and click “Edit Image”. One of the most interesting features about ShareX is how it saves the mouse pointer in its screenshots. This can be very helpful at times, as in this particular case. Once you do this, a editor window will open where you can use a range of tools to edit your screenshot. 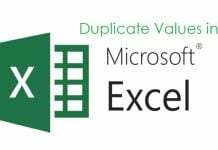 ShareX is highly customizable tool. You can dictate every single action from what happens right after you take a screenshot to what happens once the upload is complete. You can also specify where the image/video is stored after it has been captured. And finally you can specify your own custom workflow, specifying you own combination of keys for a custom task (Workflows > You can add workflow from hotkey settings…). This can be highly useful for those working on specialized domains. In conclusion, ShareX is a great screenshot capturing tool with even more features than Lightshot. This tool may not be as intuitive as Lightshot but is definitely more powerful and time saving once you get a hang of it. Since they are both free applications, we recommend you try both before making your pick.